I was just looking your post about vintage wall units and I thought I would share these pics of one I recently purchased. 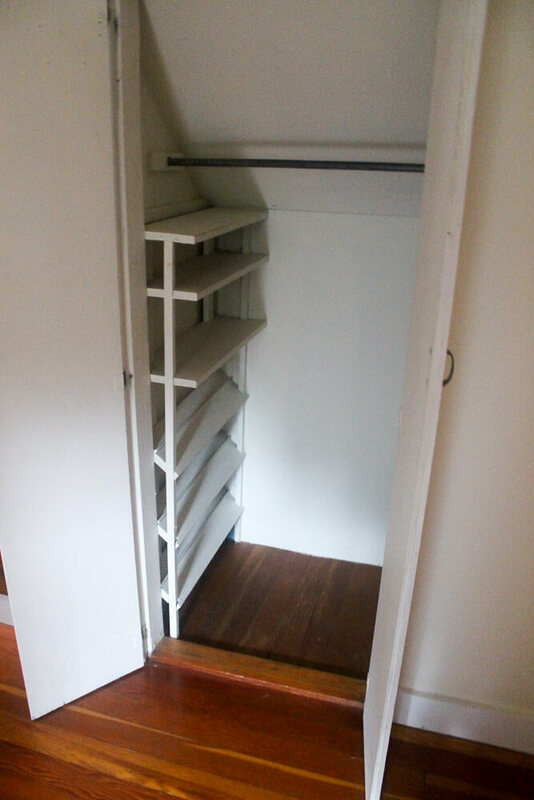 It was made by a Gardena, California company called Barzilay and it’s called the Multispan: Vertical Storage System. 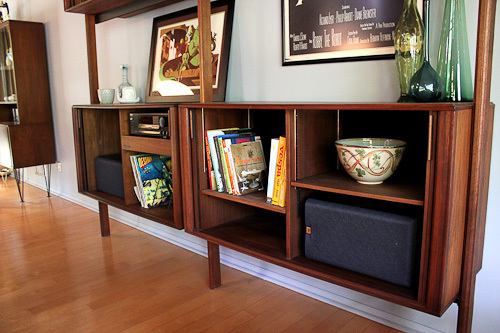 They appear to focus on a lot of entertainment wall units with stereos and speakers in them. What little info I could find was on stereo forums. 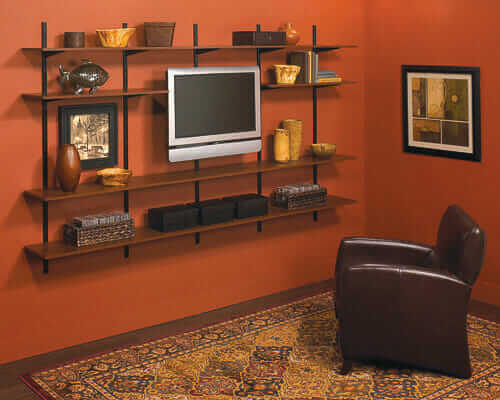 They have other wall units I have seen, however, I have yet to see a unit like mine. 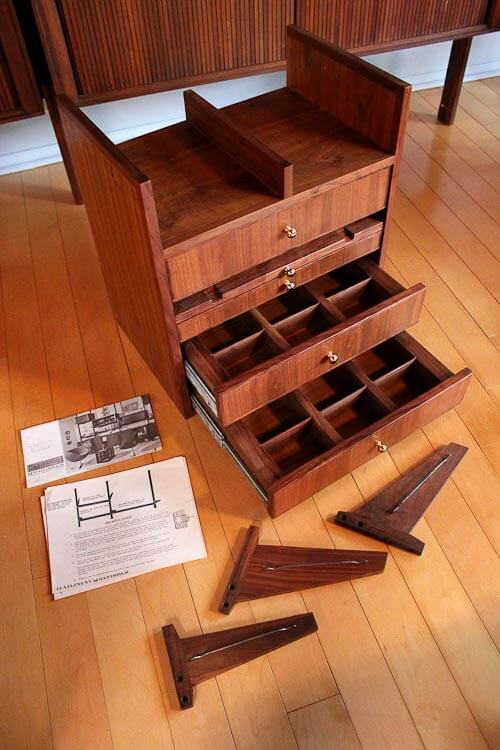 … A little drawer unit slides into the far left cabinet slot. I don’t really have a use for it so I pulled it out and stuck a speaker in there for the time being. I’d like to make a screen to cover the speaker opening so it looks built in and not a speaker just sitting there. There use to be a record player where my tuner is but it is long gone. Luckily my tuner fits into that slot perfectly so not all is lost. Oh and yes the Invisible Boy poster is original. I use to collect vintage movie posters, but now I just buy screen prints like the Jabba the Hut sitting to the left of it. The wall unit I got is sadly not complete. The guy I bought it from still has three cabinets — two big one like the bottom two and a narrow one. He is saving these for himself, but I told to let me know if he ever wants to get rid of them. If there had been brackets for those it would have been super awesome to have the whole unit go from the living room into the kitchen. I think with all of those pieces it would have been over 20 feet long. Right now it’s a little over 8 feet long. Maybe one day if I can find some more parts, and afford them, I’ll add on to the unit. 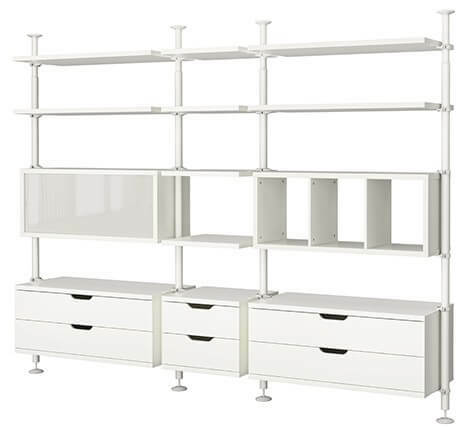 My set also has some brackets for shelves but no shelves. I’ll eventually get around to making some shelves and additional brackets. I do have some additional floor to ceiling braces that I hope to use one day. Yeah. Some people aren’t fans of those kinds of doors but I really like them. The unit does look great the way it is now but I think it will look even better once I get a couple of shelves made. I want to put a magazine shelf on the left side and a flat shelf or two on the right. However, I am in no rush since it looks fine the way it is. Thank you, Eric — Gorgeous, and now I also have a new appreciation for Jabba The Hut. Well, sort of. Readers, check out Eric and Susan’s blog, Our Modern Mess, for more of their adventures. Ugh. What other terms should I search?… so I can get my wall unit fast… before all these stories I’m writing drive prices up even higher. This is going to be a hard search, I think, because sellers know they have something. I may have to revert to standing in line to get into estate sales early so that I can look to the walls. Ugh. 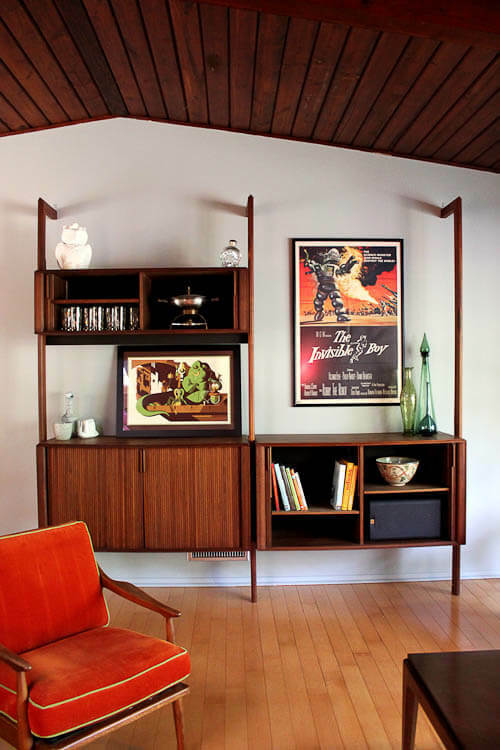 I just bought a Barzilay six cabinet wall unit with supports as well as the matching credenza with separate glass cabinet – all in mint condition. I am hoping to sell them, but because the pieces are heavy I’d like to sell them for local pickup only. CL has not produced many viable buyers. Any suggestions? Thanks! Are you showing pics of the installed system or ones showing loose parts? Buyers won’t care to pay much over salvage value for disassembled items that don’t come with assembly instructions and a parts list. I managed to sell the base cabinet of the stacked Barzilay units after making some period legs to raise up the counter height then posting pics of it alone with the stacked units. Ran my ad on Craigslist East Texas and sold it to a young MCM collector from DFW that drove 140 miles to pick it up. You may want to consider delivering those pieces yourself if you have access to a minivan, Suburban or pick-up just to make the sale. I just sold a 22 yr. old lawn tractor for $350 by delivering it to the buyer’s home that was 95 miles away. Cost me $30 in gas but I got rid of something that wasn’t needed nor wanted at that price in my area. 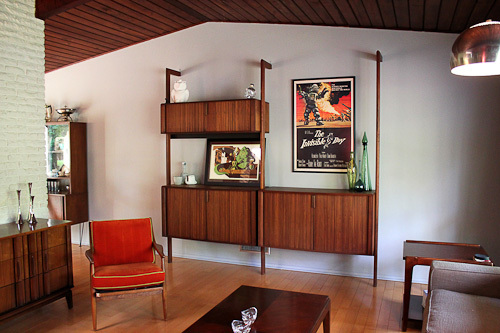 You need the ad headline to read Mid century Modern Barzilay Wall Storage System. There’s collectors Googling that phrase to see what shows up on RBay, CL, etc. I was getting inquiries from both coasts and in-between. 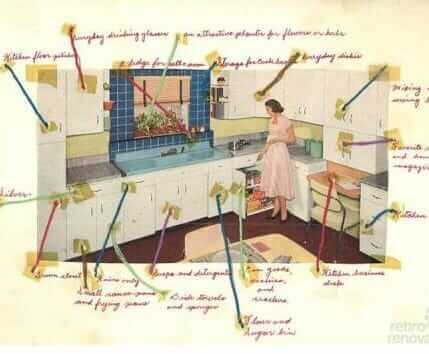 The cabinets should come apart by removing the screws. They arrived disassembled in flat packs at the furniture store then assembled during installation.